Everything goes fine when you don’t plan to change your web hosting and your website goes fine. The problem arises, however, when you need better resources or just simply want to switch the hosting provider. You need to transfer over your files! This article will give you the basic idea when you wants to move your website from one web host to another. 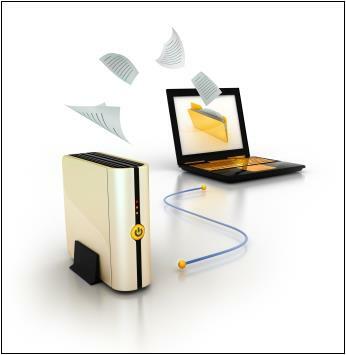 Backup: First, FTP to the hosting space and copy all files to a local drive. I do a lot of customization to the templates of my WordPress blog and I want to make sure that those are not lost. Add to that the code that is plugged in for analytics and ad-sense and I would rather not have to put those in again. Any uploads, images, attachments, etc. to a post need to be preserved as well. Backup: Next step is to log on to the database management console and backup all the data in your database. For WordPress users, you can also use the excellent Skippy’s Backup Plugin to backup the database. Install the new Instance: Now, install the blogging software onto the new hosting space, including any plug-ins that you may want. Restore: Now the tricky part. Copy over all the necessary content files, templates, etc. from the backup you took to the newly installed blog. Now pick up the data backed up earlier and insert that data into all corresponding tables. Log in to the admin console and restore all the options as you had them set in the earlier blog. Reconfigure DNS: Go to wherever your DNS for your domain is configured (9 out 10, this is wherever you have your domain registered). Change your Name Servers to use the DNS servers of the new hosting provider (this information should be readily available in the support documents of the hosting provider). Configure Website: Now log in to the control panel at your hosting provider and configure the newly created blog to work with your domain. After you have done all this, make sure that your old blog is still functional for a couple of days. The DNS changes will take from a few hours to a couple of days to propagate throughout the world. Also, try not to post for this duration, as depending on whether your DNS is updated or not, you could end up posting on your old blog. We hope you followed the steps perfectly and have transferred over your hosting without hassle. Steps are really helpful. Hope it will work for me. Thanks for sharing such an important thing. Very easy to follow steps.. I loved these.. Thank you for nice sharing about transfering website. they are discussing online. You certainly know how to bring an issue to light and make it important.